PANAMA CITY, Fla. (WJHG/WECP) – Panama City commissioners are talking about new ways to bring more people to downtown through the area’s marina project. 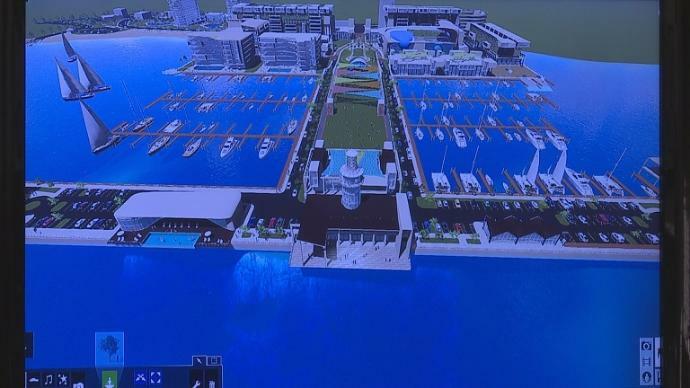 New designs were revealed at Panama City marina development meeting on Tuesday. Bob Sonnenblick, the marina project’s developer showed a 3D design at the meeting. Some at the meeting say they were pleased to see a more detailed plan for the marina space. In the meeting Sonnenblick announced two new additions to the existing marina design. The first was a series of factory outlet stores spanning over 150,000 sq ft. He says they will be high end stores that offer discounted prices. Sonnenblick says that should bring more foot and car traffic through the downtown area. Sonnenblick’s second announcement was his plan to build properties on Beach Drive near the marina. He proposed two high rise buildings, one rental and one residential building. “I am concerned about the boat trailers and the people that live here that like to use our waterfront. This is part of the reason we live here,” Lesley Fontaine said. She lives in Panama City. “Then he’s added this new idea of retail that sounds interesting. I’d like for the stores to be more exciting than just saying outlet stores, but still it sounds like they really are bringing in people,” Camila Jimmerson said. She’s also a Panama City local. During the open comment portion of the meeting some locals expressed concerns about traffic along Harrison Avenue. They say the current street conditions cannot handle more cars on the roads than it already does currently. Throughout the meeting Sonnenblick made it clear these designs are not final. He even pointed out several things that could be changed before the meeting ended. Sonnenblick says all parts of the new marina will be built at the same time in one phase. He estimates the entire project will take two years to complete.